At Rheem, we know efficiency. 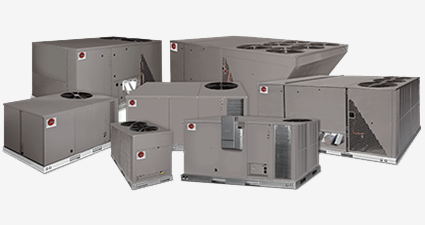 From supplying cutting-edge energy- and cost-saving equipment, to streamlining service, installation and maintenance across entire operations, Rheem’s National Accounts program keeps businesses running smoothly, economically and comfortably. 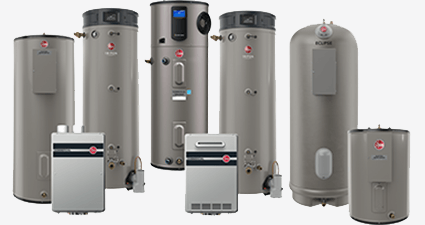 Offering a concierge-inspired service model and the absolute best HVAC and water heating systems available on the market, Rheem is uniquely equipped to provide customized, one-source solutions to fit the needs of our commercial clients. And with our expansive distributor network and flexible delivery and installation options, we’ll get your new Rheem air and water systems up and running faster and easier—so you can get back to business. Now that’s efficient. With a network of distributors that’s strategically located coast-to-coast, our National Accounts program offers lead times among the best in the industry. Contact us to learn more. 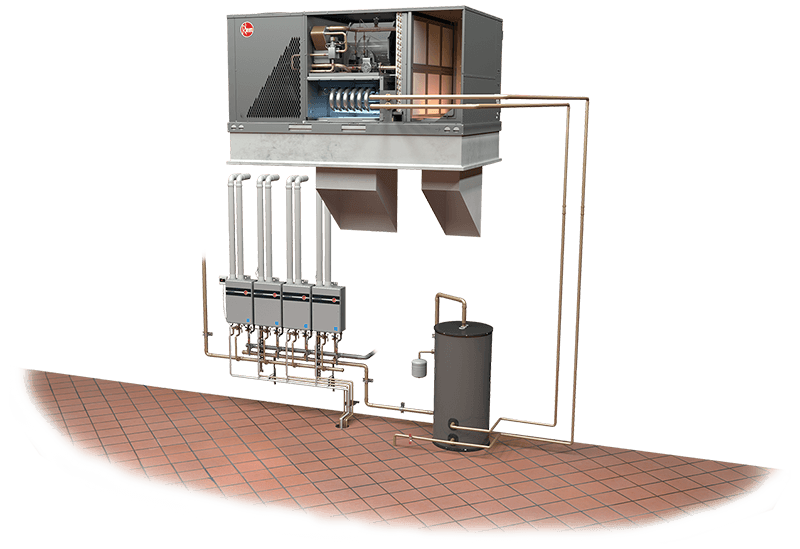 Designed to capture heat from the air conditioning process and use it to pre-heat incoming water, H2AC® will bring new levels of savings and efficiency to your business.